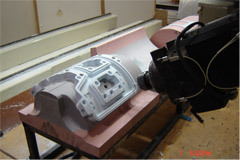 Placeteco inc. — Plastic molding company: Plastic molded parts and components according to your specifications. 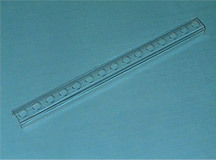 Placeteco works with flexible or rigid polyurethane. We have two injection machines - one for low-pressure injection and one for high-pressure injection. Parts manufactured with this process could be fuel cell supports, armrests, footrests, headrests, and others. Polyurethane allows for a vast choice of color, texture, and hardness. 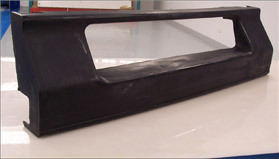 We also use rigid polyurethane to manufacture bus bumpers.